Whether you are renovating an old kitchen or designing a new kitchen for a new home, the key to good kitchen design is not only, Does it look good ? but Is it functional ? Do I enjoy working in my kitchen space ?'. A new kitchen does not need to cost a fortune, however. clever design and utilisation of space is the key. That's where we can help. By Doing It Yourself you will not only save a bundle, you will have the satisfaction of knowing you built your own dream kitchen yourself. 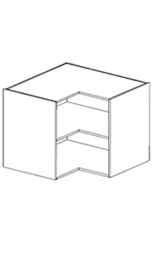 All cabinets are made with high quality materials. 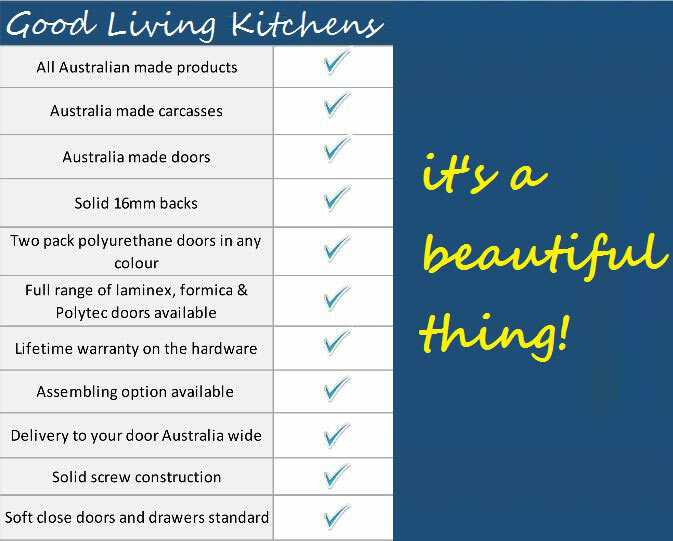 We supply all the parts of your DIY kitchen all in one place, including the Benchtop, Doors, Hinges, Soft close runners, Adjustable legs, Baskets, Handles, Bins and more. We offer the widest range of materials from Australian companies like Polytec, Formica, laminex, Lincoln Sentry, Wilson & Bradley, Halifax, Duropal, Quantim Quartz, Caesar Stone, Blum and Hettich. Simply call our friendly staff on (02)8006 1315 or 0433 933 391 and they will happily guide you through the planning of your next project step by step.